Contrary to the thoughts of many a record label marketing exec, it always feels to me as though music is on to something good when it can’t easily be summed up in a few short words. When an album challenges you creatively, it forces you to dig deeper within the music, and within yourself. In other words, the music has substance; it’s sucking you in and demanding closer attention. It’s a good omen because the music is moving you. It’s a good omen because it means you’re building up a relationship with it. It’s a good omen because it means that the album is something special, and therefore unforgettable. And so it is with South Yorkshire’s self-styled kings of cult, SERVERS. With Lee Storrar, former frontman of GU Medicine and Sunlounger, at the helm, you might expect SERVERS to make the righteous sound of a seasoned band. But to deliver such a fully formed and complete package for their debut album? It’s a rare thing indeed. And yet here it is. The band’s unsettling hooded image is perfectly in line with the music that they make. Coming on like an angst-ridden, post-millenial sect, SERVERS are at once the harbingers of a bleak, apocalyptic future, and yet seemingly born from a murky, feudal past; a place where fear and dark magick once ruled the hearts and minds of the populous, only now to be replaced by big brother government and rampant, poorly understood technology. SERVERS’ sound is similarly drawn from a distinctly rebellious and anti-authoritarian heritage, whilst pointing towards a perilous, restless and uneasy road ahead. Storrar’s voice is a subtle instrument all of it’s own, shifting from a clean-cut but quietly dangerous croon, to an expansive, throat-burning, fiery roar as the music demands. His guitar work is insidious and deadly, an electrifying sonic thread that builds a sense of impending doom. And all of this is tightly underpinned by the blitzkrieg of Lee Wilde’s rumbling bass and Ant Nettleship’s hammering drums; accomplished musicians all. The album’s two singles to date, “Universes and Supernovas (The Ride)” and “Claustrophobia”, are solid examples of just two strands of the complex and finely woven SERVERS tapestry. On the face of it, “Universes…” is a straight-forward blast of alternative rock, it’s explosive opening salvo of conjoined guitar and drums giving way to an up-tempo and strident punk-tinged hurricane. But dig beneath the surface and it’s immediately clear that there is more going on. Multiple layers of guitar snake around each other, spitting and hissing as they go, slithering over the top of a pointed and poignant lyric concerning itself with the separation of us from ourselves. And all of this neatly houses a weapons-grade amount of anthemic, fist-pumping melody. “Claustrophobia” is far more sinister in it’s sound, evoking it’s title with a picked guitar line to the fore, and a sustained, eerie wail stalking the shadows behind. They’re both combined with what could be Storrar’s strongest vocal performance of the record. “I see no reason to change. You take me out of my comfort zone,” he sings. And you ours, Lee, in a way that’s both intoxicating and terrifying. The song is redolent of Cornell, Thayil and Co., and their massive crossover hit, “Black Hole Sun.” With a following wind, it’s not inconceivable that “Claustrophobia” could be the contemporary equivalent for SERVERS. Goodness knows the song is just as accomplished; a masterclass in how to build tension and atmosphere without histrionics or distracting bluster. But even then, there is an astonishing eye in this rock n’ roll storm, worthy of the end of days and towering above all that has gone before. If SERVERS didn’t seem quite so suspicious of it as a source, you could almost say it was Biblical in it’s scope, scale and power. “Dangerous Devotion” is, to these ears, SERVERS first and epic masterpiece. The song initially lodges itself in the synapses via a swarming electric drone, segueing in to a feedback loop, before a doom laden riff with the density of a black hole almost causes the universe to collapse in on itself. It’s a feeling echoed in the metallic clang of Ant Nettleship’s liberal use of his cymbal bell to ride the rhythm of the song, accompanied by Lee Wilde’s churning bass groove. The track steams ahead on a blackened, industrial Sabbath-esque riff, Storror’s granite sharp voice spitting angry and paranoid lyrics about “turning tables”, knowledge, power, questions, doubt and, yes, devotion. The gloom of the descending chord progression in the verse paves the way for a beguiling shift come the chorus, where a total reversal delivers an ascending series of notes and delivers an expansive, jaw-dropping slab of musicality. A fuzzed up and frenzied solo slices the whole thing in two at three minutes in, developing into a dual lead attack that wouldn’t sound out of place in one of Josh Homme’s dusty desert projects. The arrangement then thrillingly pulls everything back to it’s bare minimum, the tune picked out on guitar and, what’s this? A string section? The choppy, staccato rhythms ratchet up the tension as the the notes progress north, and in the albums most spine-tingling moment, the song launches into the stratosphere, that mammoth chorus returning once again, but this time on a sea of ebullient, string-laden bravado. But for all it’s heroic centrepiece, there are still gems aplenty elsewhere on Leave With Us. “Mega High” is a dirty blues strut that wouldn’t sound out of place on a Jack White record had he grown up listening to more metal fare. “Do Gooders” navigates the realms of a thumping industrial stomp, the likes of which Marilyn Manson might once have been proud of. Opening track “Save Me From Myself” injects liberal doses of black metal blast beats, and “King Things” swings and swaggers with the heavy menace of prime-period post-metal insurgents, ISIS. For a band who project an image that is both literally and figuratively cultish, it seems to be something of a paradox that SERVERS’ debut album could leave them poised to cross over into a bigger, more high profile realm. And yet somehow it is not surprising at all that, in this modern world of technological espionage, all-seeing governments that don’t think twice about crossing physical or metaphorical boundaries, and fear-mongers growing their seats of power by creating and then preying on the concerns of citizens, SERVERS should be the band to make that move into the wider public consciousness. Their album certainly deserves and demands it. “Leave With Us”? SERVERS, we’re already on board. You can watch the visually impressive video for SERVERS’ track “Claustrophobia” below. The clip was directed by renowned lensman, Mark Latham. SERVERS will play The Fleece, Bristol on the 21st of August, supporting My Ruin on their The Sacred Mood UK tour. The band will release a new 4 track EP on the 15th of September via Undergroove records, featuring a cover version of the Madness song “Lovestruck”, recorded in aid of the Teenage Cancer Trust. The cover will also appear on the Madness Charity Tribute Album ‘Specialized 3 – Mad Not Cancer’ as part of the Specialized project. 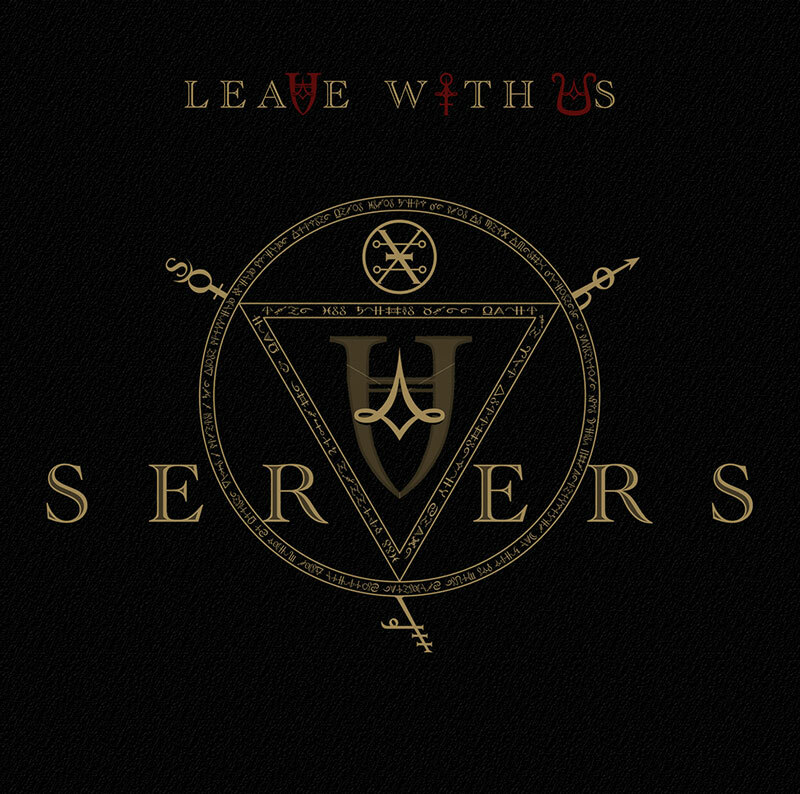 You can find out more about SERVERS and sign up to serve at the band’s official website, Facebook page and Twitter feed. Previous:Foo Fighters new album artwork revealed? Next:Foo Fighters tease 8 seconds of 8th album!